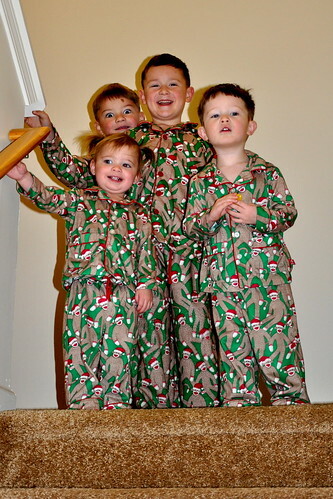 Ready to come downstairs for presents. 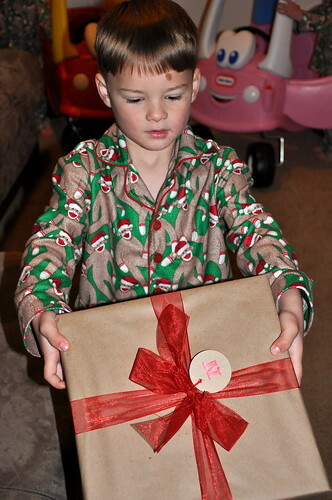 Can I open this one? 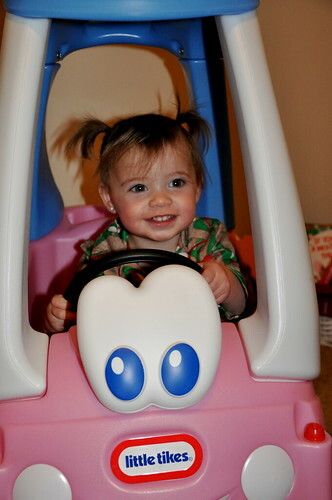 Lexie LOVED her new car! 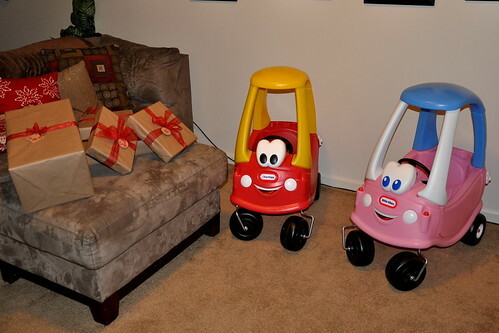 And Ben did too- although he did seem a bit jealous since the pink one wasn't his. 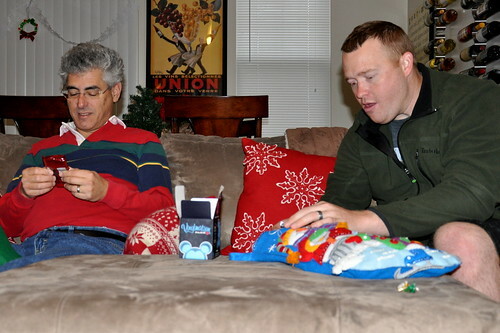 Grandpa and Daddy going through their stockings. 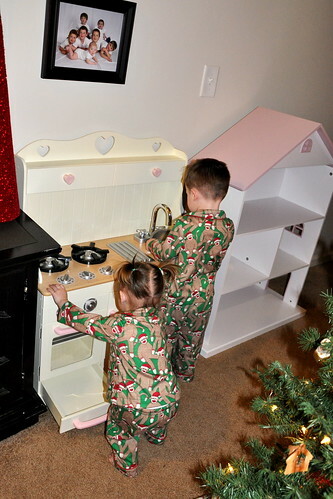 Lexie got a new kitchen and dollhouse bookcase this year. She and Ben played with the kitchen all day! 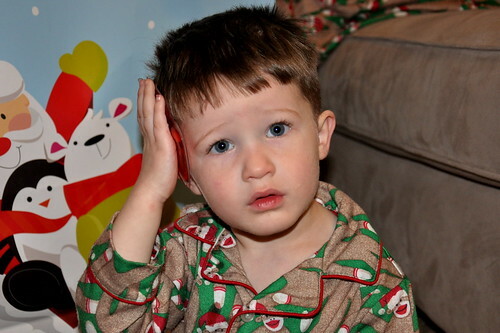 Nick's Bumblebee Transformer flew off the stairs and hit Ben in the head. 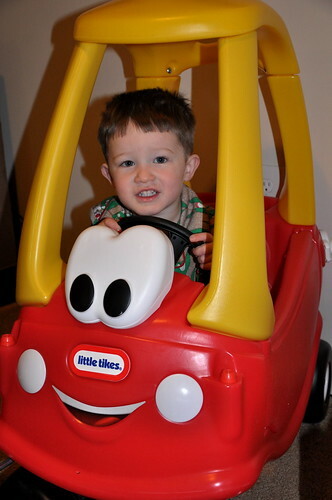 We got it cleaned up pretty quickly and then he held an ice pack on it for a few minutes. 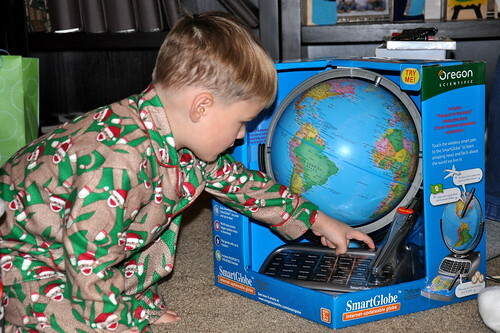 Nick's favorite present- his new globe! 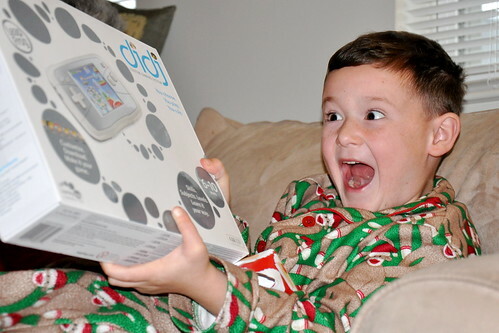 Christopher was so excited to get his Didj!! And Lexie loved her Bitty Baby. Lexie made hot "kashi" in her kitchen all afternoon. 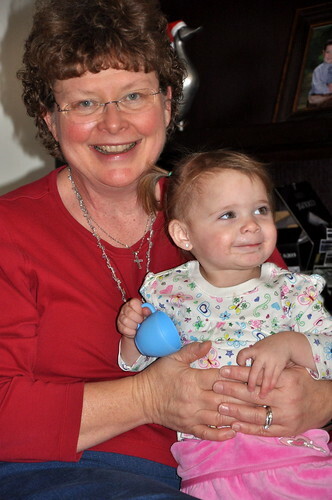 Lexie and Grandma sharing a cup of coffee.